It’s always a good problem to have when you can’t decide where to look. Do you choose the hammerheads, the giant tuna, the bait ball, or the manta? Having so many creatures in my field of view on ONE dive was simply amazing. Roca Partida was a blast! Can’t wait to see what else is in store this week. It starts before breakfast. Watching a pod of bottlenose dolphins and ends with you surrounded by silky sharks on a night snorkel. Socorro, as a marine park, provides awe inspiring encounters with the marine life we all crave but the Nautilus crew take care of the finer details making a vessel a floating hotel, full of smiles and even cake!! 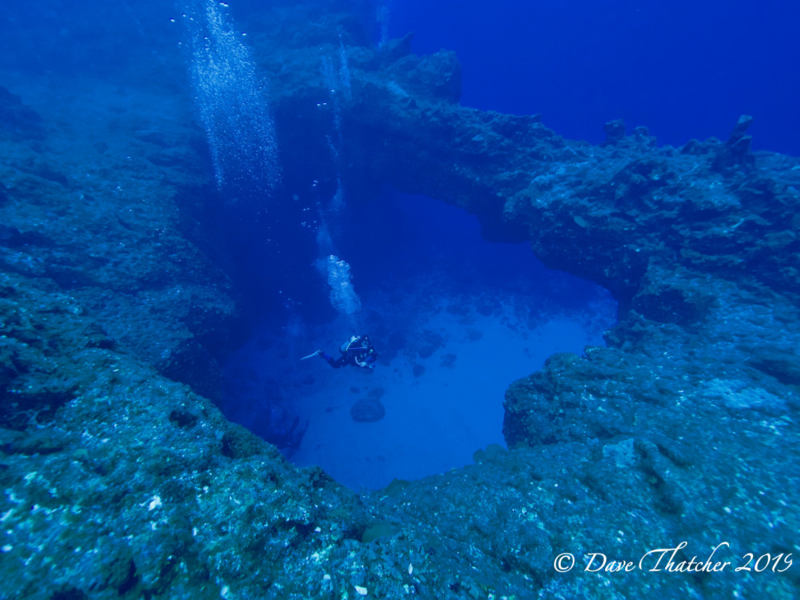 Socorro has delivered some of the best dives in my life. Galapagos sharks, stacks of white-tipped reef sharks, turtles, sting rays, large schools of jacks, gargantuan lobsters, crown-of-thorns starfish eating corals, hammerheads, whale sharks, and much more. Dolphins jumping off the bow of the zodiac on our way to the dive site, and then meeting us on our way down! 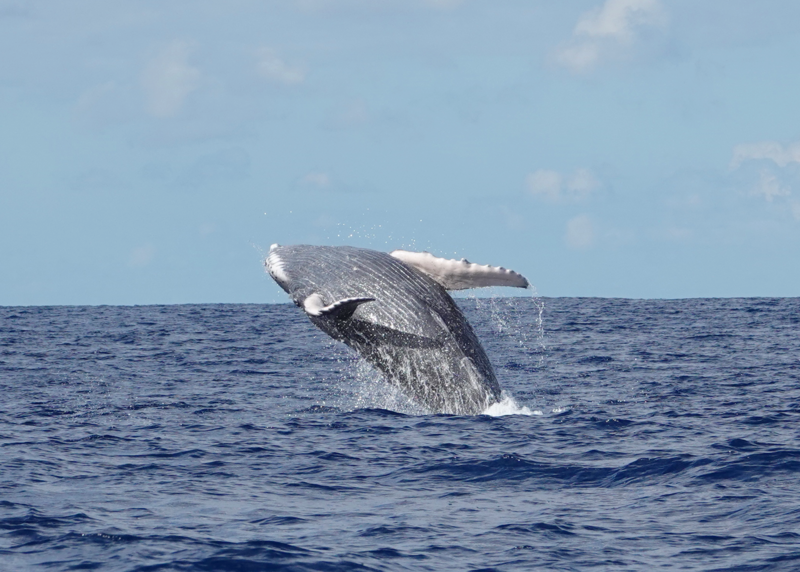 Humpback whales breaching during the surface intervals. 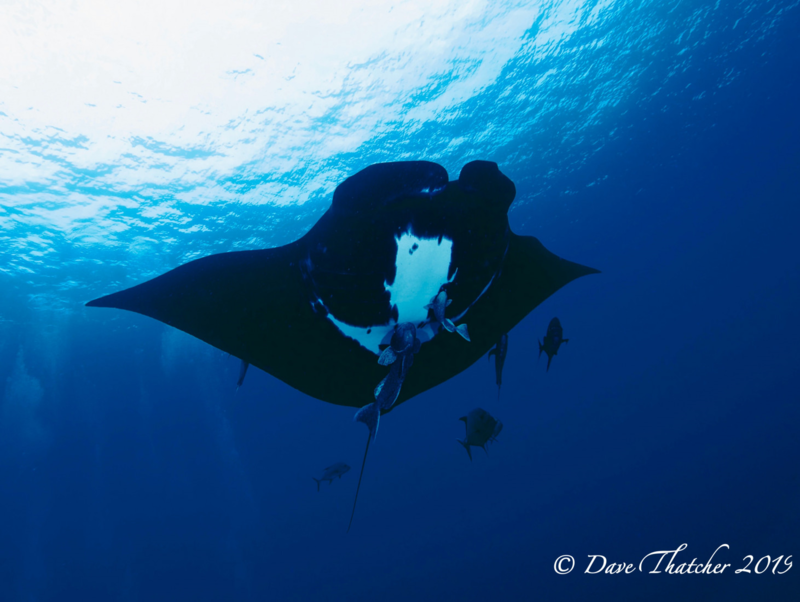 And to top it all off – the majestic mantas! The way they kept coming back to us, circling around the group, seeking out the bubbles and seemingly communicating with us – absolutely spectacular! After this, I’m going home with a strong sense of awe for these fantastic creatures and a sense of longing. Until we meet again!